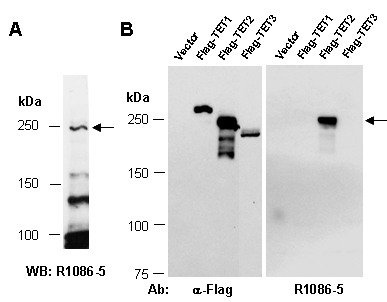 Rabbit polyclonal antibodies were produced by immunizing animals with a GST-fusion protein containing the middle region of murine TET2. Antibodies were purified by affinity purification using immunogen. indicated Abs at RT for 2h.